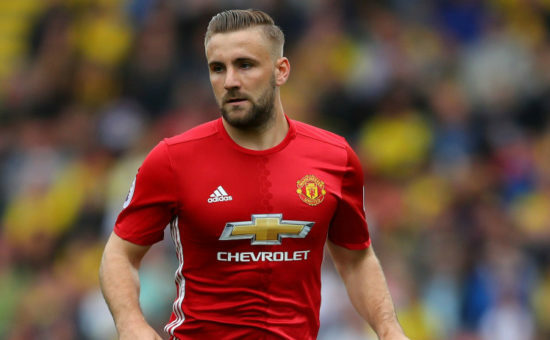 Manchester United manager Jose Mourinho has revealed why United defender Luke Shaw is yet to make his first appearance of the season after recovery from an ankle injury. The 22-year-old has been plagued by injury since joining the Red Devils and he is yet to feature for United since suffering an ankle injury against Swansea towards the end of last season in April, although, he has been playing with the U-23s for the past few weeks in other to aid his recovery. Mourinho recently confirmed the defender is available for selection once again but he might have to beat off competition from Daley Blind and Matteo Darmian who have been impressive so far this season. The game against Everton on Sunday might come too soon for him but he could return to the starting line-up against Burton Albion in the League Cup next week. The 22-year-old face a defining season at Old Trafford, his career at the Theatre of Dreams has been blighted by injuries so far and was criticised by the Special One last season. Luke Shaw came to United with a lot of promise and potential but is yet to fulfil his potential at Old Trafford after suffering series of injuries since moving to the Theatre of dreams. He is an attacking full back and would offer more going forward, he made just 19 appearances for United in all competitions last term.